Creating a modern, stylish email campaign is easier than ever thanks to the myriad of powerful marketing tools we have at our fingertips. However, getting your emails to display correctly on every client can still be tricky. The best solution is to test your campaigns properly before you send them to your subscribers. In this article, we’ll talk about why testing is so important, then introduce you to two tools to help you do it (and teach you how to use them). Let’s get to work! Ensuring your emails display properly is key to building trust with your subscribers. Even in this day and age, not all email clients are as effective as they can be when it comes to displaying emails. In some cases, your messages will render differently depending on the application your subscribers are using. If you want to reach as many people as possible, you need to make an effort to minimize these instances. This is because each email needs to be interpreted by your client before you can view it. Most modern email clients use this step to strip out any extraneous code they find for security and compatibility purposes. It can be a hassle, but it also protects you from receiving malicious or broken messages. Fortunately, the process of testing your email campaigns is straightforward. You’ll simply need to check if they display correctly on the most popular email clients before sending them. There are even tools that can help you do this without the need to install each client. Before we jump in, it’s worth noting that most major email marketing platforms include some sort of in-house email testing tool. For example, MailChimp enables you to test your email campaigns before you send them to make sure they look exactly as you want them to. On the other hand, the tools we’re going to discuss offer a good way to double-check your design before sending, and can come in handy if you like to build your campaigns manually. Let’s take a look! Litmus is a one-stop solution for testing email campaigns. On top of enabling you to check whether your messages display correctly, it also includes several other helpful features. For example, you can test your links for broken URLs, check for images that aren’t loading, and make sure your messages won’t end up in the spam folder. To do this, Litmus sends your code to over 70 different email clients and takes full screenshots of how they render your message, so you can see them side by side. The only downside to this tool is the cost. At $99 per month, it only makes sense if you’re monetizing your subscribers and need to ensure your emails are pixel perfect. However, Litmus does offer a seven-day trial for all its plans. 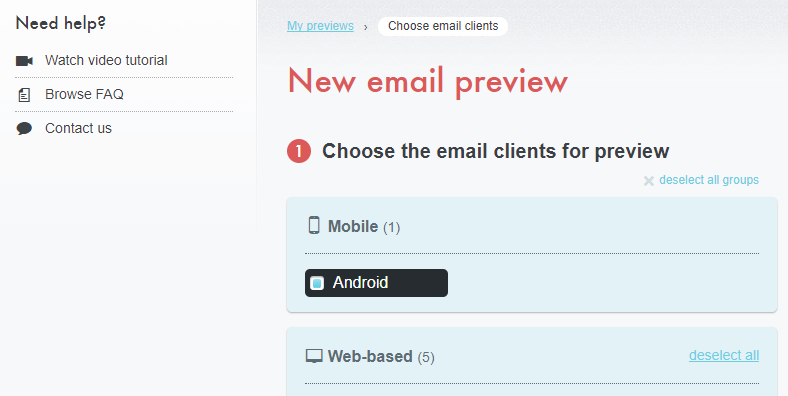 Preview your emails in over 70 different clients. Test whether your messages will end up in the spam folder. Check if there are any broken links or images in your emails. Use a custom email builder to create new campaigns. Inbox Inspector isn’t as feature-heavy as Litmus, but it has two things going for it – it’s free to use, and you don’t need to set up an account to do so. The downside is that you don’t have access to as many clients to test your emails with. However, Inbox Inspector supports more than 20 of the most popular options, which should be enough to uncover any issues. Plus, you can also use it to preview how your subject lines will appear on each email client, which can help you tweak them accordingly. 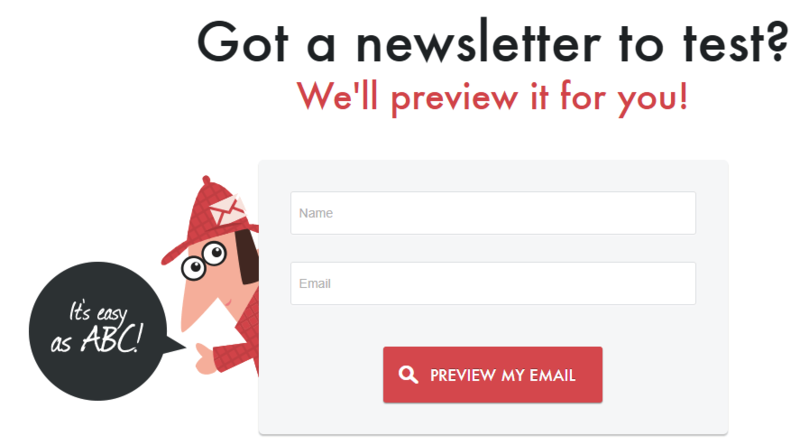 Test your email campaigns on over 20 popular clients. Preview your subject lines on those same clients. Now we’ve introduced you to two of our favorite email testing tools, it’s time to see them in action. Depending on your budget, we recommend that you try out Inbox Inspector first, then consider upgrading to a premium option such as Litmus if you decide you need more features. Keep in mind that some clients will render faster than others. In our experience, it usually takes a couple of minutes to get all of your previews, so be patient. When they’re ready, you can click on any of them to get a better look at your full email. You can also download your previews as a zip file if you want to save them locally by clicking the Download Zip button at the bottom of the page. Now click on the Start testing button, and you’ll see your code displayed on the Litmus email builder, where you can either edit your message or check your previews directly. Now, take your time reviewing your results, and if you want to make any changes, you can do so using the Litmus email builder (or whichever platform you prefer). Putting together a great email campaign is not the only aspect you need to think about before clicking Send. You also need to make sure it displays correctly on as many clients as possible. Failure to do so risks you losing out on potential conversions, along with giving subscribers the idea you lack professionalism. 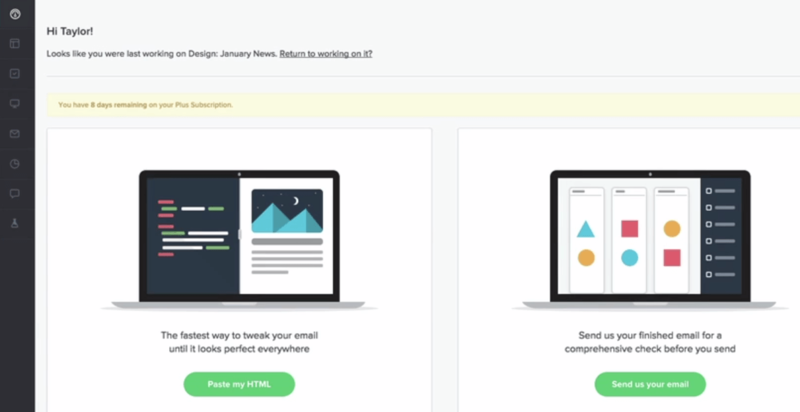 Litmus: A premium option to test your email campaigns from top to bottom. Inbox Inspector: This free service enables you to test your emails in a matter of minutes without signing up. Do you have any questions about how to test whether your email campaigns are working properly? Ask away in the comments section below! Article image thumbnail by Graphic farm / shutterstock.com. Hi, I love your reading your blog items and this one is especially good as most of my client sites link to MailChimp as I encourage all of them to use email marketing to gain business or donations. However, deliverability that is something I am very aware of and of course do not get it perfect and my emails sometimes end up in spam/junk – which is really annoying. The main reason for telling you that is to let you know that whilst most of your emails are received about three a week end up in my junk this one included. I test my emails using mail-tester which is worth adding to your list. I never knew about Inbox Inspector. The timing of your article in my inbox was serendipitous. I’m thrilled. Inbox Inspector was exactly the easy tool I needed for a problem a client was having with Outlook 2013. Ha ha I sound like I’m trying to sell the free little tool. Truth is I want more email work so I can use it again! I was so devastated when Litmus changed their policies to exclude little guys like me.